Ever wonder how those dramatic shots of water shooting up from a bottle are created? 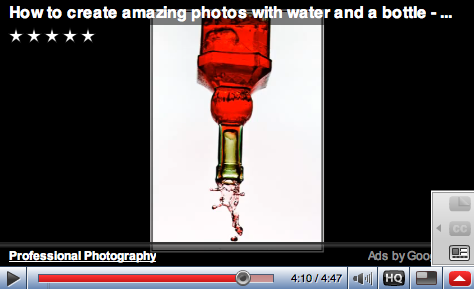 Take a look at this video by Gavin Hoey titled, How to Create Amazing Photos with Water and a Bottle. You don't need a specialized gear for this weekend project. A DSLR, a flash that can be triggered off camera, and of course, water in a bottle. When you're done, just rotate the image 180 degrees in Photoshop. It's a lot of fun.